We’re all inspired by something, and that inspiration fuels our passions, our dreams, and our goals. I want this to be a place that leaves you feeling inspired in the things that bring you joy. This isn’t just a place for writers or mothers or photographers or creatives who spend their days weaving word pictures. This is a place for everyone who wants to live a life of passion, however that may look. This is a place to chase dreams, to set goals, to look for the inspiration in your every day. PERFECT — I love to write! From the time I was a little girl I’ve loved weaving word pictures. I love the way that story connects the past and the present. Our entire history is based upon story with the events of the past molding and shaping the present. I long to breath life into characters so that their stories can impact readers in ways that make them look differently at the world around them. I am passionate about crafting strong, character driven novels, and my prayer is that my books leave readers of all backgrounds and journeys of life feeling encouraged and moved. My first novel, Like A River From Its Course, focused on the real life stories of over 100 veterans from the former Soviet Union whom I met and interviewed personally. I spent a decade researching and talking with those men and women, and their stories forever changed my perspective on life, love, and the way our past histories impact our present circumstances. When River released, I had no idea what to expect, but I felt like I had something special. What a gift it has been to see the stories impact readers worldwide! Like A River From Its Course takes my readers on a captivating journey into the little-known history of Ukraine’s tragedies through the eyes of four compelling characters who experience the same story from different perspectives. Based on true stories gathered from fifteen years of research and interviews with Ukrainian World War II survivors, I tell a story of love, war, heartache, forgiveness, and redemption. You can buy the book HERE or get a preview by subscribing below! JOIN THE MAILING LIST for freebies from my award winning novel! I’ll send you the first 50 pages to download, along with access to a free Reader’s Guide for book clubs! Subscribers also receive my monthly newsletter with information on upcoming books. Please send my free chapter! I’m a dreamer, a wordsmith, and a lover of good fiction. I love to laugh, and spent my first six years as a blogger laughing with the internet at this crazy thing called parenthood. 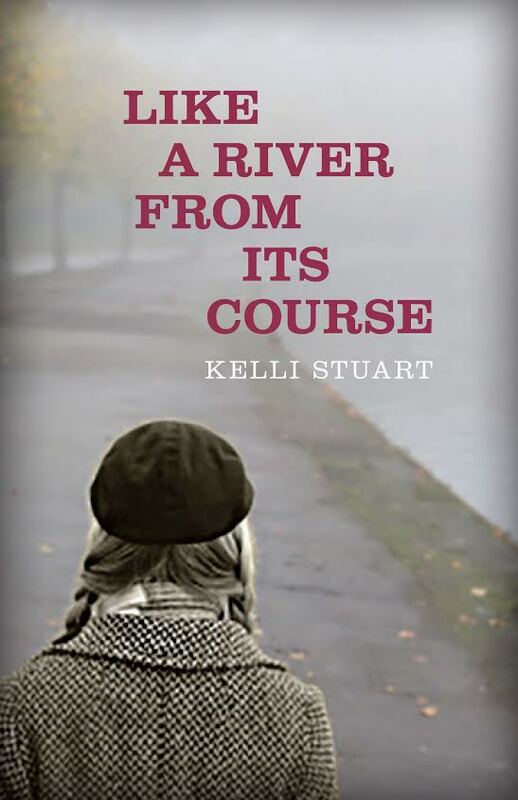 I’m a novelist, with my first novel, Like a River From Its Course, releasing to rave reviews. My second book, Life Creative: Inspiration for Today’s Renaissance Mom, was co-authored with Wendy Speake, and written to inspire and encourage creative moms. I love people and languages, and I’m a passionate advocate for orphan care and orphan prevention. I’ve been married to Lee for seventeen years and the path has been twisty and full of life, laughter, a little heartache and more blessings than I understand how to articulate. We have four children, and have also been blessed with a heart-daughter who lives in Ukraine. This writing journey has given me numerous opportunities, each of which has brought blessings and experiences beyond anything I ever dreamed. I’ve been a contributor over at The Huffington Post where I talk about topics near and dear to my heart and try not to take any of the comments personally. 5 Minutes for Mom took me to Hollywood, to New Orleans, and to Montreal. I learned how to conduct interviews, how to write blog posts that resonated, and how to review product in a way that actually benefited the company asking for my help. The MOB Society gave me the chance to use my voice to encourage mothers of boys that they’re not alone in this motherhood journey. Currently I write as a regular contributor at Pretty Extraordinary, where I continue to marvel at the beauty of motherhood and family. I’ve also been a regular writer at God-Size Dreams, and I shared my love for story at Short Fiction Break. I served time on the Board of Directors for the St. Louis Women in Media, helped co-found and run STLFamilyLife, and served as editor for the St. Louis Bloggers Guild back in the day when it seemed necessary to have a guild for bloggers. I’ve been a feature speaker at several conferences speaking on such topics as faith, parenting, the power of social media, writing and editing, and using your online voice to impact the world. Perhaps the opportunity that has had the greatest impact on me as a mother, as a writer, and as a daughter of God, was my trip to Tanzania in May 2012 with Compassion International Bloggers. This is the place when God began to work a shift in my heart – when He began to teach me that a life of impact meant a life of sacrifice. I learned in that short week that Hope is Slow, and change takes time, but God, the author and designer of this world and everything in it, is in complete control. He was in Tanzania before I got there. He felt the pain of my failed adoption before I experienced it. He knew there would be moments of heartache so great, that I’d have nothing left but empty hands raised high to Him. It was in that surrender that I found the greatest inspiration of all. An award-winning novelist, Kelli released two books in 2016, both with Kregel Publications. The first, titled Like a River From Its Course, is a historical fiction novel set in World War II Soviet Ukraine. Like a River From Its Course won the ACFW Carol Award for best historical fiction, and was a finalist for The Christy Award in both the Debut Novel and Historical categories. 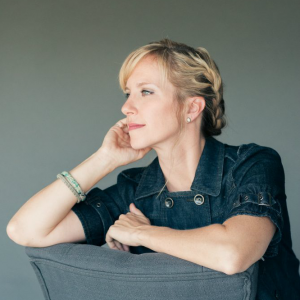 Kelli’s second book, co-authored with Wendy Speake, is titled Life Creative: Inspiration for Today’s Renaissance Mom. It is a non-fiction book written to encourage and inspire creative mothers in their God-given gifts. Kelli is a noted blogger and the writer behind the wildly popular blog Minivans Are Hot. She has traveled extensively, constantly honing her craft at weaving words into tales as she experiences life and the world. 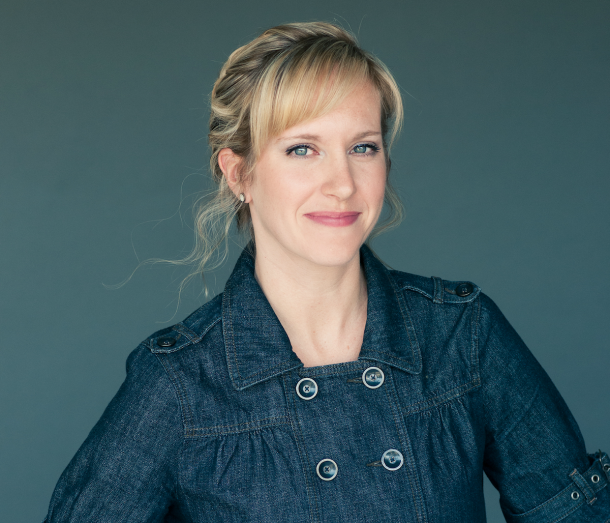 Kelli has written for, and represented, such brands as The Huffington Post, 5 Minutes for Mom, Tonic.com, Disney, American Girl, The MOB Society, Extraordinary Mommy, God Size Dreams, Short Fiction Break, and (in)courage. Kelli has also served as editor-in-chief for the St. Louis Bloggers Guild and as a board member for the St. Louis Women in Media. In 2012, Kelli traveled to Tanzania with Compassion International as part of their blogging team to raise awareness on how the organization is benefiting children worldwide. 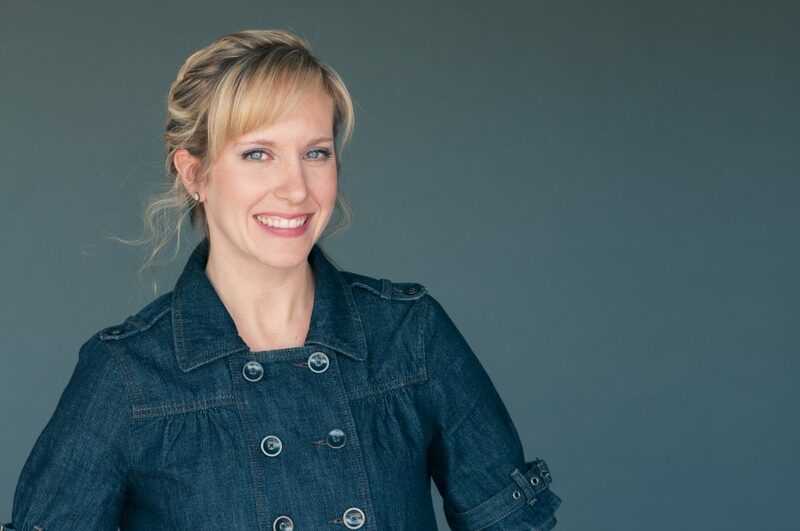 Kelli is a noted speaker, sharing her encouraging message to never give up on your dreams and passions with mothers who often feel lost in their mothering tasks. 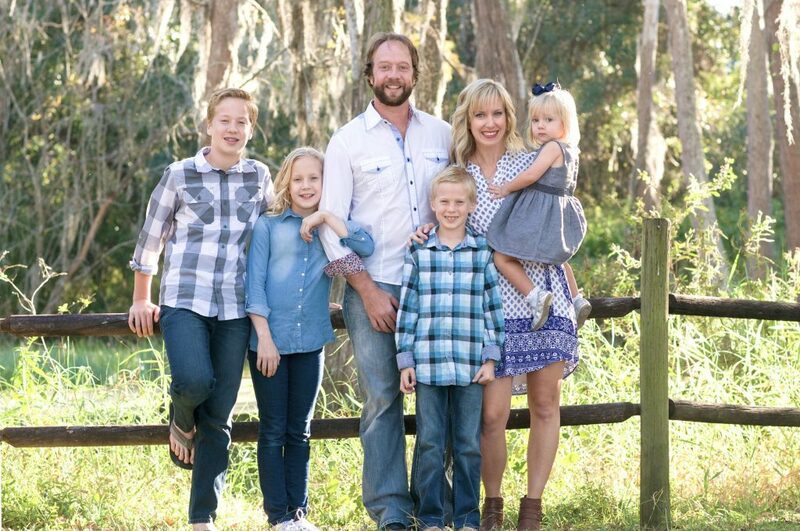 Kelli currently lives in Tampa, Florida with her perpetually patient husband and her four rambunctious children. Like A River From Its Course! You're all set! Check your email for a link to download your freebie. Thank you! You can trust me to keep your info safe and never share it with anyone. I hate spam as much as you do.